In March of this year, New Products Group released a novel for the Ukrainian market energy drink with an extract of cannabis seeds – Green Energy™. From June 2018, the lovers of non-narcotic cannabis will be able to purchase the new drink not only in the standard packaging of 0.5 and 1 liter, but also in trendy aluminum cans of a reduced volume of 0.25 liters. The new mini-can will expand the number of Green Energy™ consumers, as it will attract those who are interested in Green Energy™, but consider 0,5 l of energy drink too large a portion. The volume of 0,25 l will be of interest to those who have not had time to try the new product and would like to get acquainted with it. We remind you that Green Energy™ is an energy drink that contains a natural extract of cannabis seeds, caffeine, taurine and a B-vitamin complex. Due to the presence of cannabis, Green Energy™ provides tonus, helps the body absorb glucose, endure stress more easily, and reduce anxiety. At the same time, Green Energy™ is an absolutely legal drink, since tetrahydrocannabinol (THC), the main psychoactive component of cannabis, is completely excluded from the extract of the plant, but the useful properties retain their maximum effectiveness. Humans have been using cannabis in cooking, as well as for a wide variety of technical needs (such as making clothes, paper, cosmetics, etc.) for almost five thousand years. The first written mention of this plant traces back to ancient China (around 2800 BC). Unfortunately, in recent decades, the psychotropic properties of cannabis had been dominating the conversation about this plant, leaving out the fact that it has a myriad of useful properties. Non-narcotic cannabis contains vitamins A, E, B12, D, folic acid, iron, has analgesic and anti-inflammatory properties. The oil from cannabis seeds is an effective antioxidant. It has been proven that cannabis slows down the aging process, has a neuroprotective effect, is effective as a soothing and relaxing agent in stressful situations. The interest in non-narcotic cannabis is growing steadily among fans of organic food, people leading a healthy lifestyle, and those who seek to prolong their youth. Over the past 10 years, 452 food products that contain cannabis have been produced worldwide. Of these, 141 are drinks. Most of them are produced in European countries. 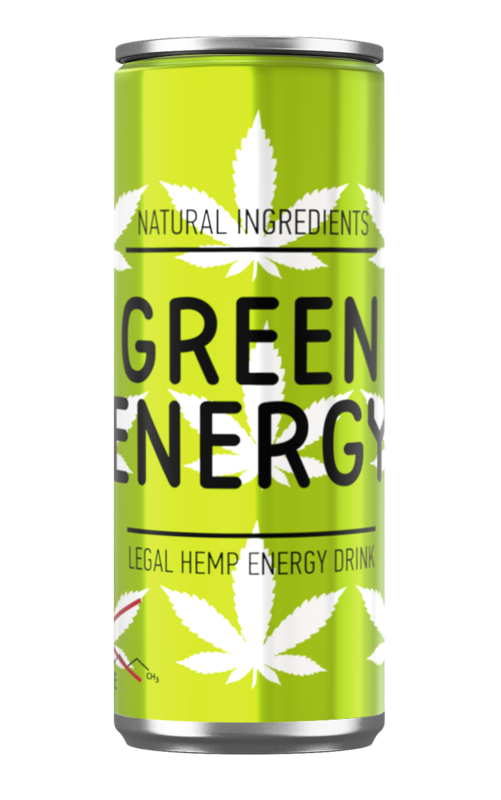 In Ukraine, the energy drink Green Energy™ became the first and so far the only beverage that contains cannabis.